AWI is a dependable and timely provider for commercial and government entities operating in the fast paced and ever-changing environment of Iraq. AWI maintains strong customer satisfaction by embracing strict safety ethics, hiring the best talent and delivering a step above the rest to ensure quality results. 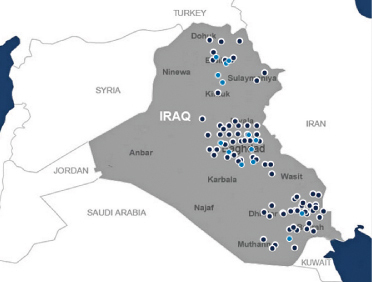 AWI’s vision is to provide expertly planned and professionally executed services to meet the complex demands of the Iraqi region. of our employees, clients, and the public. AWI is a dynamic, exciting place to work.